Why the delay in implementation? Jul 23 2018 - Eight years have passed since the education ministry had in principle decided to introduce a uniform or cluster system for university admission, yet, the government has failed to implement the system still after all these years. Even a decision to begin the uniform admission procedure with the agricultural universities from this year has been cancelled on grounds of “lack of time for preparations”, although the decision was made in November last year. 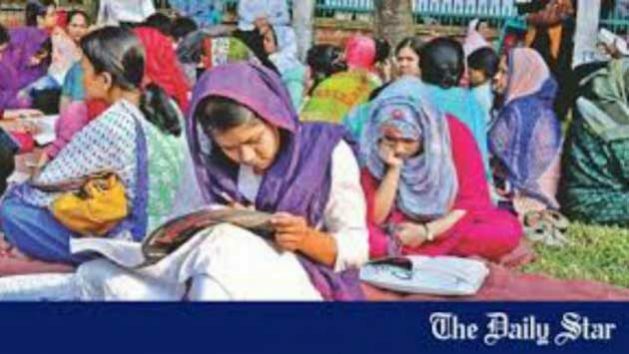 The proposed system would save admission seekers time, cost and travel required to take admission tests at different public universities across the country, and the numerous hassles and pressures they face to prepare for the separate admission tests. In spite of all these benefits, some public universities have been opposing the implementation of the cluster system as it would reduce the income of the universities as well as teachers from the sale of admission forms and from invigilation and checking of answer scripts, according to ministry and UGC sources. Whether it is due to lobbying from them or because of its own failures, the fact that the government has not been able to implement the cluster system which would save students so much time, money and energy, is unacceptable. Given that the UGC has also been suggesting modifying the existing admission process for a long time, terming it too expensive, questionable and coaching-oriented, the government has no excuse for delaying the implementation of the uniform admission system. Therefore, we call on the authorities to recognise the importance of implementing the system and thus act accordingly with the appropriate urgency.